Amazon isn’t expected to announce results until Thursday, and they famously strategically forgo profit for the sake of revenue growth. So let’s take them out and replace them with a company with a history of enormous profits, Microsoft. It’s still true: with $10.5 billion in profit, Apple earned more in the quarter than Alphabet ($4.2B), Facebook ($1.5B), and Microsoft ($3.8B) combined. Wow, I hope they have a backup strategy, cuz they’re in bad shape. 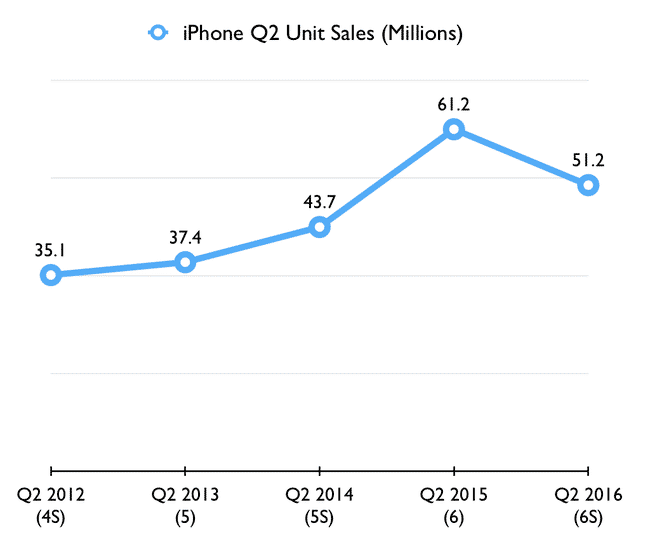 Apple is a company that analysts love to hate. They make slightly fewer MORE BILLIONS THAN EVERYONE and it’s considered the beginning of the end. I personally like most Apple stuff, but not all of it. But I still believe they are the ones everyone is chasing. From a product quality standpoint, from a customer satisfaction standpoint, and from a marketing standpoint. That being said, I love seeing competition. I am upset with Google half the time, for various reasons, but I love seeing Amazon and Microsoft making inroads in different spaces. The Amazon Echo, for example, is just spectacular. I think they leapfrogged Siri in terms of an intelligent assistant in basically one move. Quite impressive. I guess what I’m saying is, anyone who thinks Apple is any manner of bad shape basically has a head injury. But if this empowers its competitors to step up their games, then I’m all for people believing it.